The new functionality will let commuters tap their iPhone or Apple Watch to board a Chicago Transit Authority bus or enter a CTA train station. 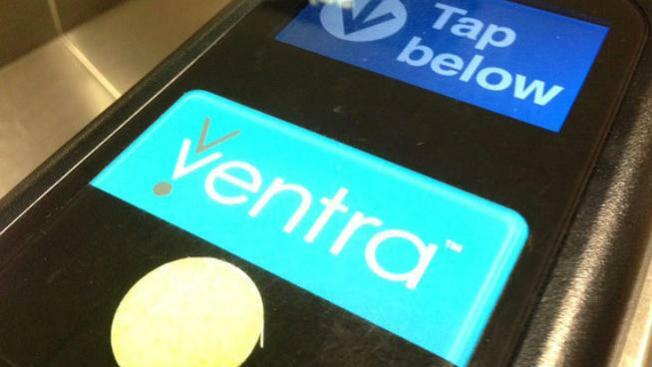 "New Ventra Cards on iPhone will build on the strength of the existing Ventra system to make commuting in Chicago even easier and more convenient," said Mayor Rahm Emanuel in a statement, "and help modernize America’s second largest mass transit system for the 21st century." Chicago commuters will soon be able to pay for public transit with their Apple Watch or iPhone through a new Ventra app, Apple announced Monday alongside news of a new Apple TV app, new programming and its own credit card. Chicago, Portland and New York City are the first major metropolitan areas to get the new service later this year that lets commuters add a transit-only card to their iPhone. "When one of the world’s most inventive cities teams up with one of the world’s most innovative companies, great things happen," Emanuel said. The new Apple Card will be a Master Card issued by Goldman Sachs. It promises online applications, no fees, lower interest rates and high levels of privacy. Apple claims it won’t know what you buy or what you paid for it. All of that information will be abstracted on their servers. The records will reside on your device and will be enhanced by an artificial intelligence engine. The new card will also have a "Daily Cash" rewards system that gives you 2 percent back on the things you pay for with Apple Pay. If you buy it from Apple (services, Apple Music, etc.) you will get 3 percent back. Any other purchase made with the physical, laser-etched, titanium card will get one percent. As iPhone and other device sales begin to wane, Apple is pinning its success and it future on the things you can do with those devices and the things you can enjoy on them. Apple’s new News+, Apple TV+ and Arcade services will make the company your one-stop shop for things already available elsewhere. But Apple has never rushed to be the first to any game. The Diamond Rio mp3 player existed long before the iPod. Apple’s success has come from entering existing markets and disrupting them by offering better ways to do things while at the same time improving the user experience. Apple and the American Heart Association are coming together to help you take control of your health. NBC 5's Charlie Wojciechowski has the details. The success of these new services will depend on how well Apple can follow the model it created.